Lakeview Center is a single-tenant property that serves as the headquarters of HealthPlan Services., the nation’s largest independent solutions provider to the insurance and managed-care industries. 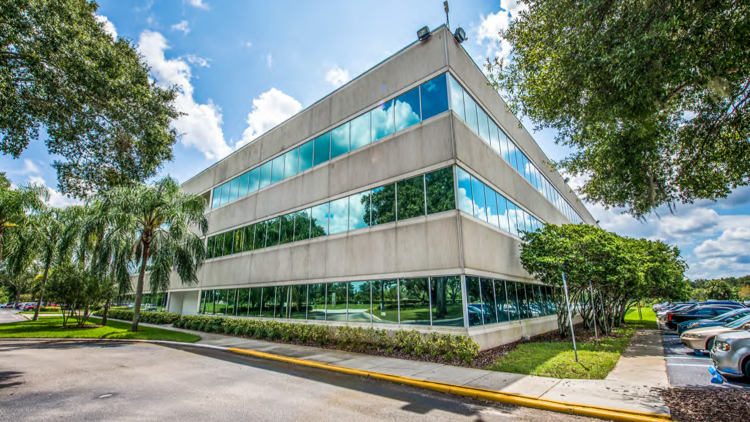 TAMPA – TerraCap Management, a commercial real estate investment management company based in Florida, has sold Lakeview Center in Tampa for $21.8 million. The buyer for the 186,300-square-foot office property is TriOut Advisory Group, a Miami-based real estate investment firm. The building, 6700 Lakeview Center Drive, is near the intersection of I-4 and E Dr. M.L.K. Jr. Boulevard, about 1.5 miles southwest of the Florida State Fairgrounds. Lakeview Center is a single-tenant property that serves as the headquarters of HealthPlan Services, the nation’s largest independent solutions provider to the insurance and managed-care industries. The sale also includes the 19.3-acre site the three-story office building sits on, creating opportunities for future growth. Existing entitlements give the new owner the ability to expand by more than 190,000 square feet, which would allow TriOut to build other office buildings and parking structures. This could mean further growth by HealthPlan Services or potentially adding other tenants. The building, originally constructed in 1984, has undergone more than $3 million in renovations over the past five years. Renovations include a new roof, elevator refurbishments, upgraded HVAC and a new Energy Management System, which increases operating efficiencies. “This transaction represents another example of TerraCap’s focus on creating value and maximizing investor returns by improving the physical asset and by working with top-quality leasing, property management and investment sales teams to ensure tenant satisfaction,” said Robert Gray, managing partner at TerraCap and co-founder of its commercial property investment platform.